Chinnar Wildlife Sanctuary is in Idukki District of Kerala State in India. It is a protected area as per government order. It is bounded on one side by Eravikulam National Park and other sides by Indira Gandhi Wildlife Sanctuary and Kodaikanal Wildlife Sanctuary. Chinnar Wildlife Sanctuary is part of Anamalai ranges in Western ghats. 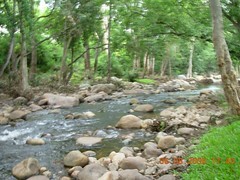 The Chinnar River and River Pambar are the major water resources in the sanctuary. 34 species of Mammals live in Chinnar Wildlife Sanctuary, which includes Panthers,Tigers ,Indian Elephants, Gaur, Sambar Deer, Spotted deer, Common langur, Bonnet Macaque, threatened Nilgiri Tahr, Hanuman monkey, vulnerable Rusty-spotted Cats. The Sanctuary has about 240 numbers of the most vulnerable Grizzled Giant Squirrels as per the last count. Chinnar Wildlife Sanctuary is heaven of fauna. Many species of birds including Bulbulls are there among the 245 species of birds found here. Reptile species inside the park number around 52, which includes 29 species of snakes. Endangered species of Indian Star Tortoise are found here. Also found are the largest population of vulnerable Mugger Crocodiles in the state. Many species of fishes including endangered hill stream game fish Deccan Mahseer are found among those 42 fish species here. Amphibian species of 22 varieties are found in the Chinnar Wildlife Sanctuary. Butterfly species number 156. Chinnar Wildlife Sanctuary is also rich in flora. Flowering plants of 965 species are found here. Marayoor Sandalwood, a rare sandalwood, is found in large numbers here. 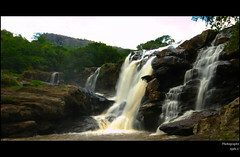 Thoovanam waterfalls is a major waterfall inside the Chinnar Wildlife Sanctuary. There is a forest department log house (available to public for rent), situated close to this falls. Trekking, Walking along the river banks, etc, are allowed. How Do I Go to Chinnar Wildlife Sanctuary? Forest department offers log houses, tree house and a concrete cottage (each costs rupees 3000) and a mud house (costs rupees 4000) inside Chinnar Wildlife Sanctuary.